London based illustrator/ street artist Mysterious Al, drops 3 new screenprints for the winter season. 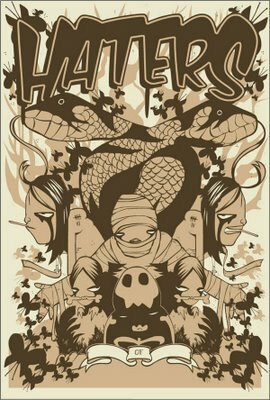 'HATERS' Screenprint pictured above is limited to 50 prints, 38 x 56 cm in size and printed on 300gsm Super-Heavyweight stock. The other two new prints titled "Woods" are sold as a set and are also limited to just 50 prints. The prints are now available to buy from Al's website via paypal. These are gonna sell out fast so get em quick!